This is your section of the X-Calibre site! 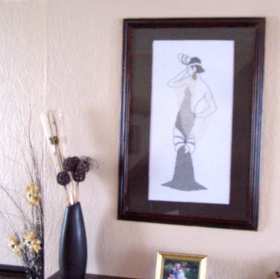 A place to share your own version of any of Carol’s designs. Think of the design as a starting point and make changes to create an original. Send your photos in to us, by e-mail or snail mail if you would like us to include them in this gallery. 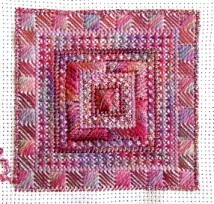 Erica chose contrasting colours to stitch her version of Hope from the Textures to Dye for range. 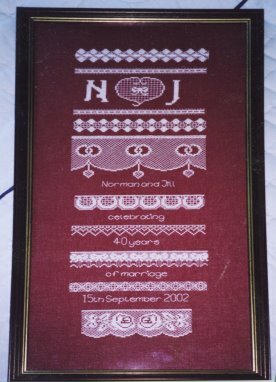 For more versions check out the workshop photos in the needlepoint section. 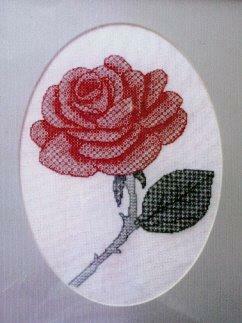 Enid chose to depict her blackwork rose in red and green and what a gorgeous effect she achieved! 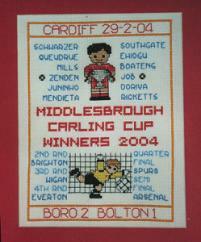 Candice’s sampler uses 2 of the Little Ones kits and was stitched to celebrate her “footy team’s first win in a major trophy for 128 years”. 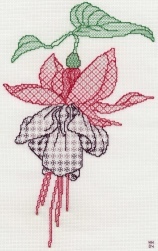 Helen’s Fuchsia was started in one of the blackwork workshops at Centre Crafts, Huntingdon. 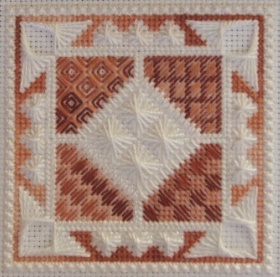 She didn’t want to stitch it in black so Carol helped her choose suitable coloured threads of varying thickness to give this stunning result. Alison’s Infinity was begun in a Textures to Dye for workshop at Appletree Crafts, Southill, Bedfordshire. She used Oliver Twists “One Offs” which contain many different fibres, dyed together, so that they blend beautifully. Check the photo gallery for more samples worked at the workshop. Sian’s Little Owl was worked in Anchor multi-coloured threads in shades of purple. Carol would like to thank everyone who has kindly sent in their pictures for inclusion on this page.